The National Weather Service has issues a hazardous weather outlook for South Jersey and surrounding regions, noting the potential for driving difficulties during the Tuesday morning commute. Mixed precipitation is predicted to start tonight and continue overnight, according to the weather service report. Less than one inch is expected to accumulate by morning. The snow or mixed precipitation is expected to change to rain Tuesday morning with a low potential for continued hazardous weather, the report states. 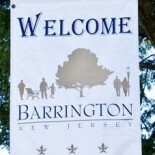 This entry was posted on November 26, 2012 by Barrington Bulletin in Region, Safety and tagged hazzardous weather, snow.